The insulated concrete forms, ICF construction method represents a technology breakthrough in the way that houses, walls and other buildings are made. 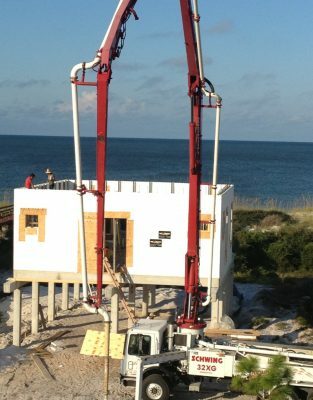 An insulated concrete form home built by Blackfin Construction adds long term value to your property. ICF, is a proven construction technology with a track record spanning over 30 years with documented benefits. ICF buildings are very quiet. Insulated concrete form buildings are comfortable whether it is hot or cold outside because temperature is evenly distributed. ICF is healthier because concrete is non-toxic and does not let off ozone depleting substances and there is no nutrient source existing in the structure for mold growth. ICF buildings are super strong. There is a documented case of an ICF home being hit by a car going 90 mph. Shortly thereafter the same house was assaulted by 165 mph hurricane gusts. The home only sustained cosmetic damage that was easily fixed. 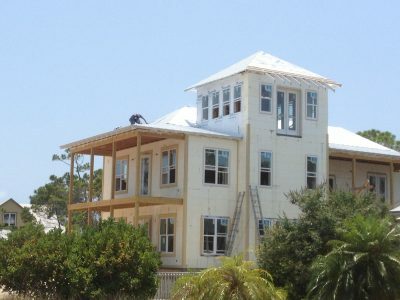 The ICF construction method produces longer lasting structures. ICF buildings are not vulnerable to termite or rotting like wood structures. They require less maintenance than wood structures. They are also not susceptible to rusting like steel stud construction. Homes built with ICF are much better at surviving fires, floods or other types of severe weather conditions. 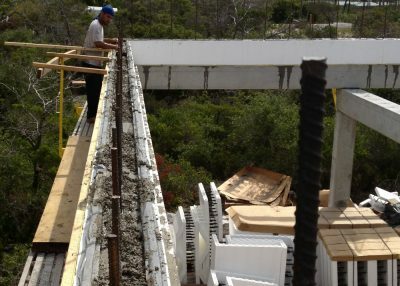 Because of their excellent track record, most insurance companies will offer discounts from 10% - 30% for buildings built with the ICF contruction. ICF products offer greater flexibility than other masonry construction product lines. This increased flexibility is needed when installing piping and electrical systems. ICF house requires about half the air conditioning and heating reaquirements of a regular home. So you save big on installation as well as operational costs. Thus ICG contruction produces environmentlly friendly buildings. A concrete home can be up to twice as energy efficient as traditional homes. Wood framed wall systems can have thermal bridging, gaps in insulation and erosion of R-values. ICF construction has no thermal bridging, continuous insulation and constant R-value. 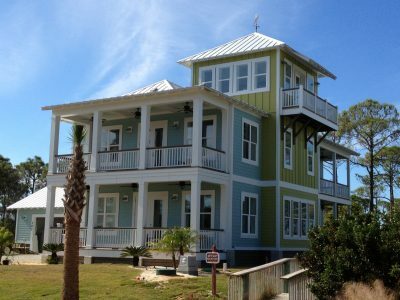 Blackfin Construction’s ICF homes are nine times stronger than traditional construction structures, four times more fire resistant and two times more energy efficient.